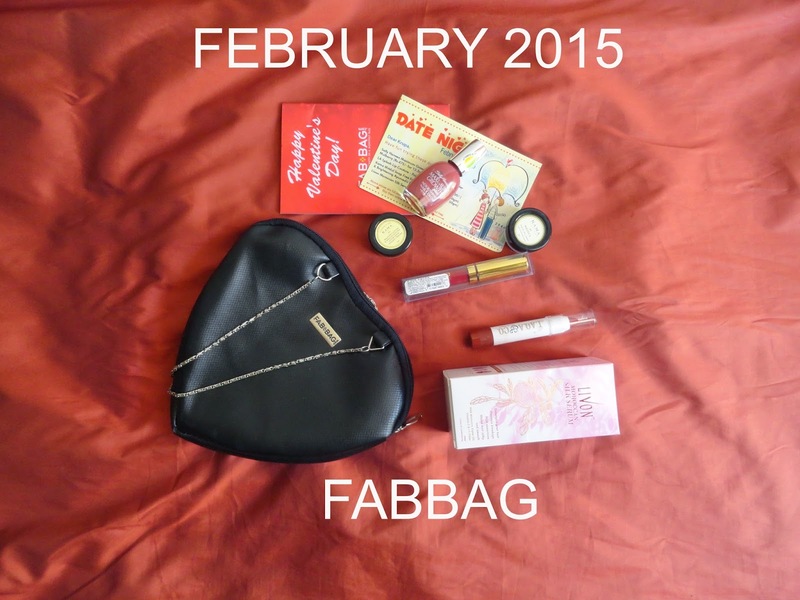 I just published the contents of my January Fabbag and on that same day the February Fabbag got delivered. Fabbag is simply astonishing people with amazing products since the start of this year. 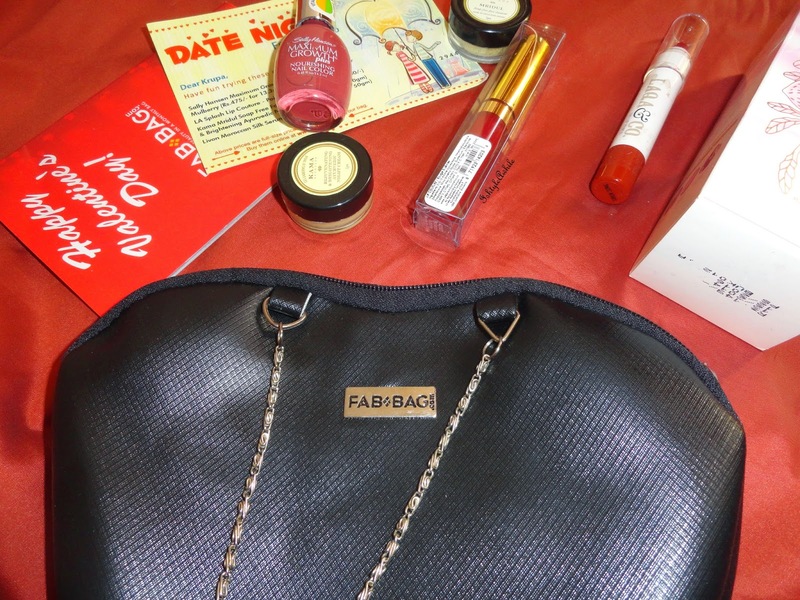 The January bag got rave reviews and well the February bag has not failed my expectations in any way. I am just going to show you the products very quickly. 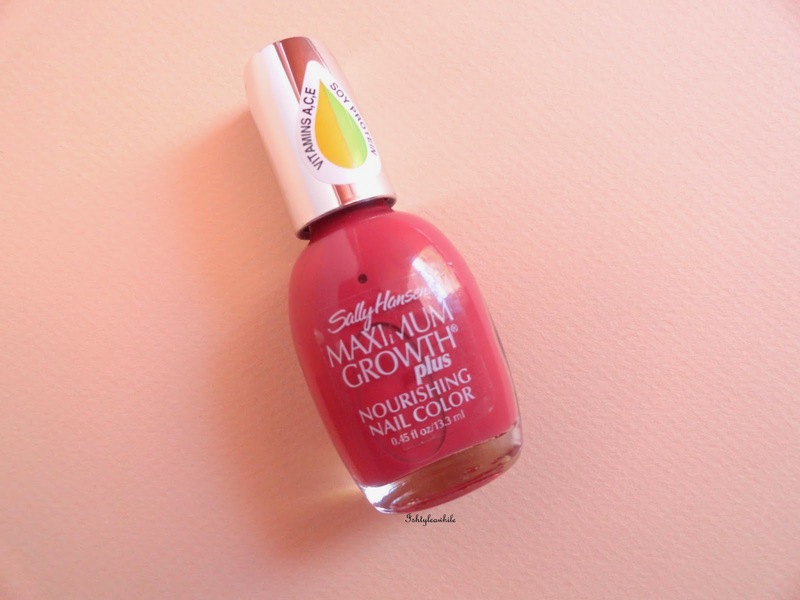 1) Sally Hansen Maximum Growth Plus Nail colour in Tender Mulberry. This is such a gorgeous rosy pink colour. 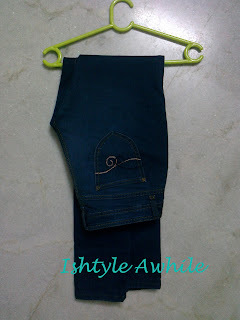 The bag has the full size and it retails at 475INR. I will be reviewing this soon. 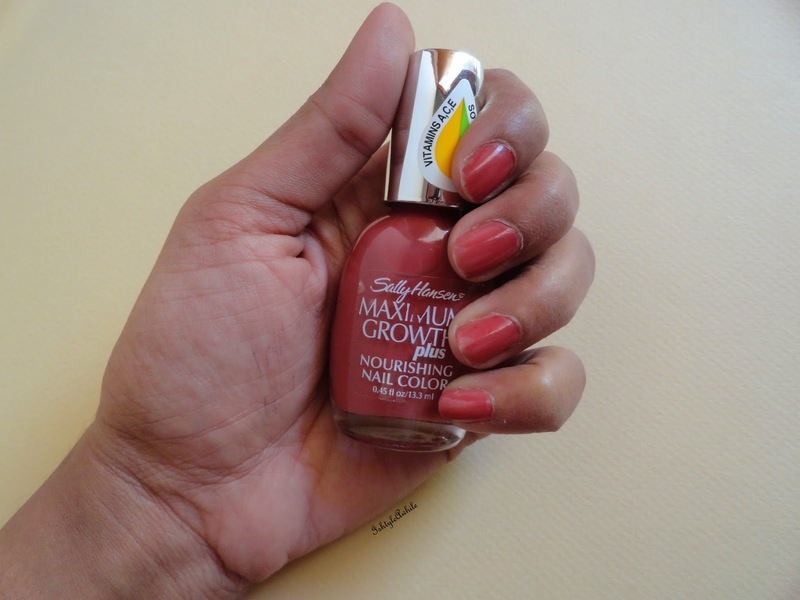 It's already on my nails. 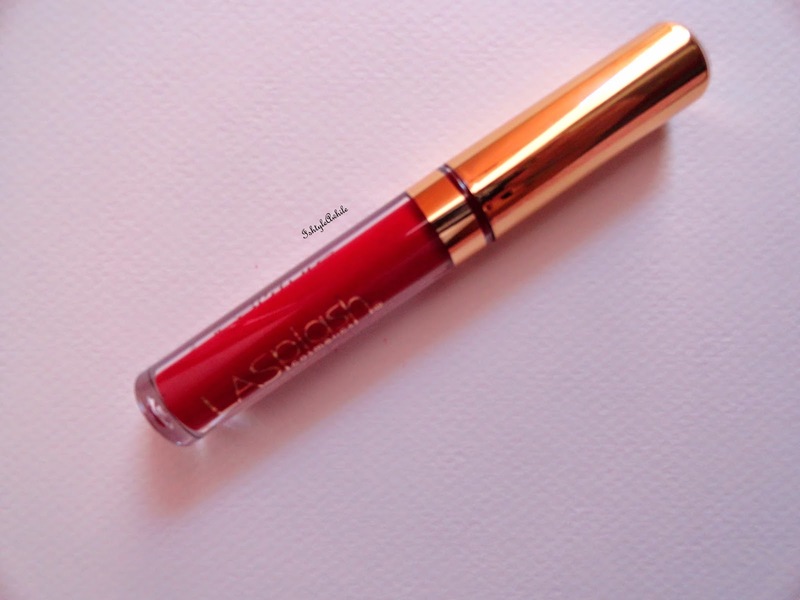 2)LA Splash Lip Couture in Poison Apple. 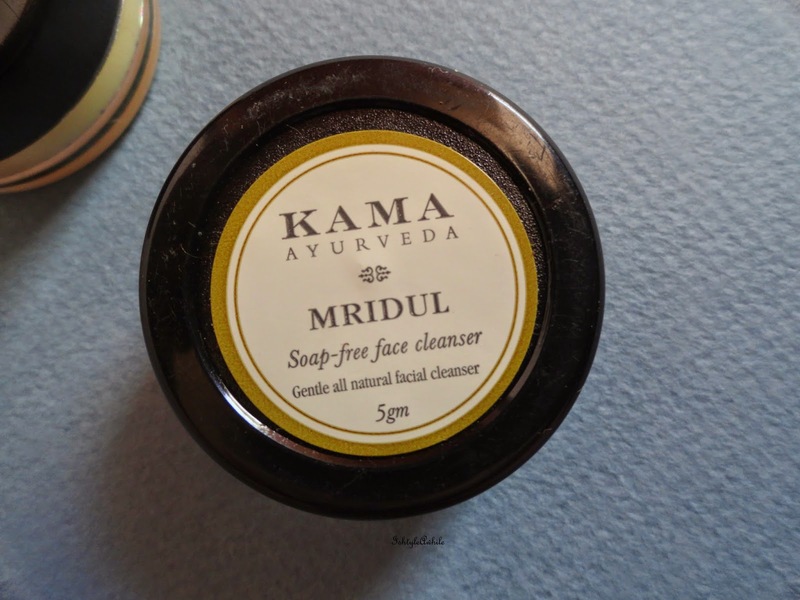 3) Kama Mridul Soap Free Face Cleanser. 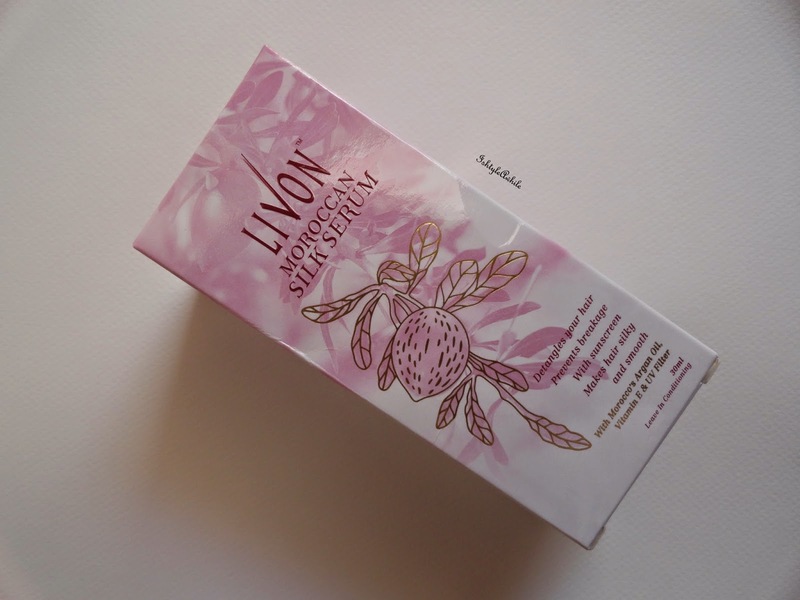 Would you believe it if I said that I have never tried the original Livon?? Well I haven't. I am currently using another serum, but I will be start using this soon. 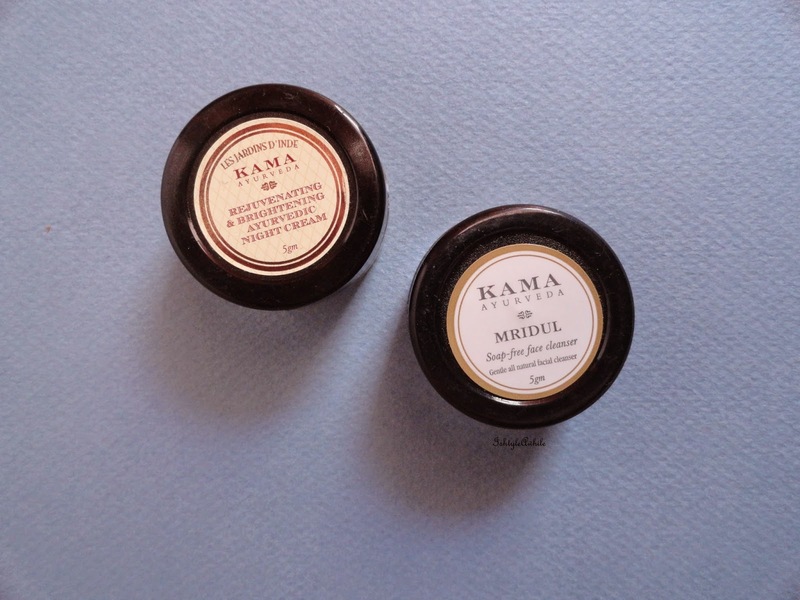 It is a nice small travel size at 30ml. It costs 143INR. 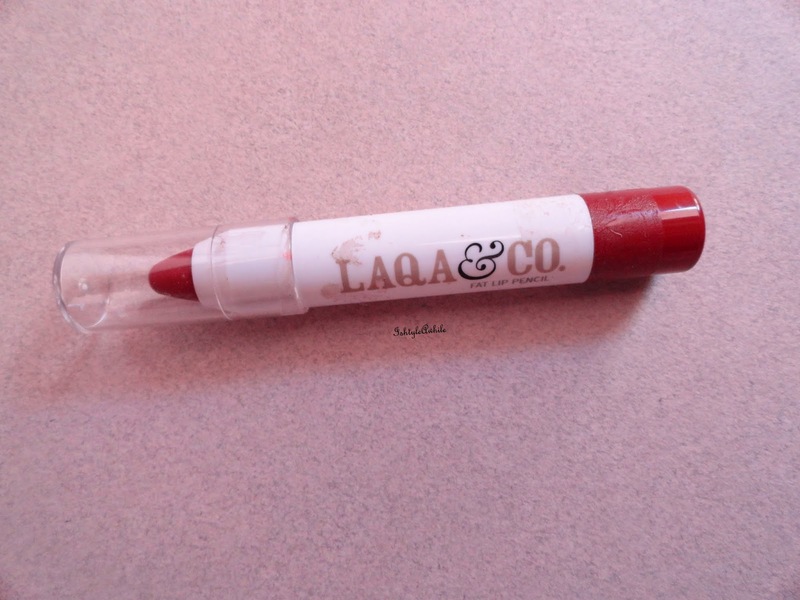 6) LAQA & Co Fat Lip Pencil in Siren Song. 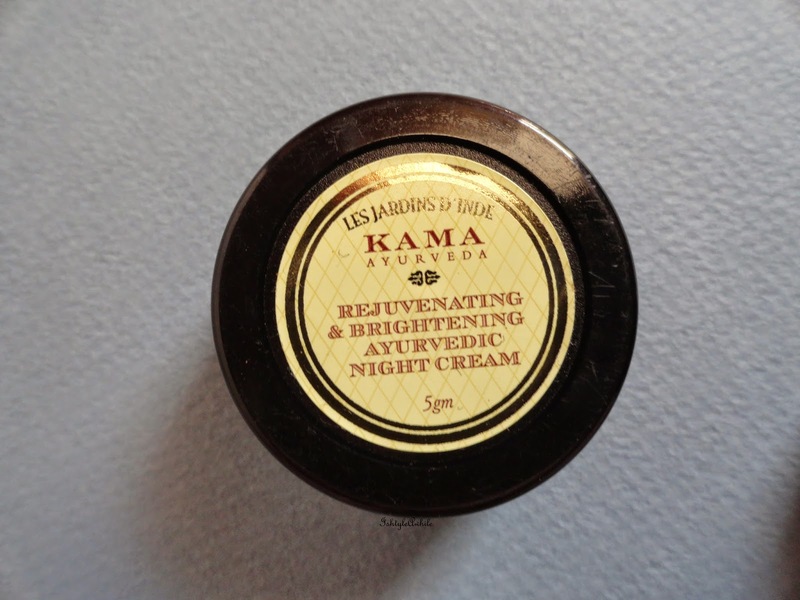 This isn't my first LAQA & Co product. 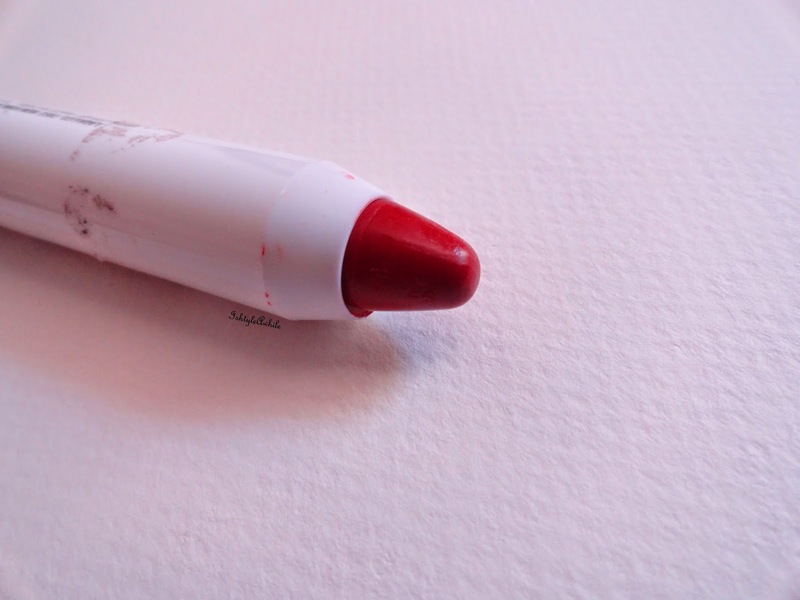 If you read my Fancy products post, you would have seen two mini fat lip pencils by LAQA (what an oxymoron- mini fat). 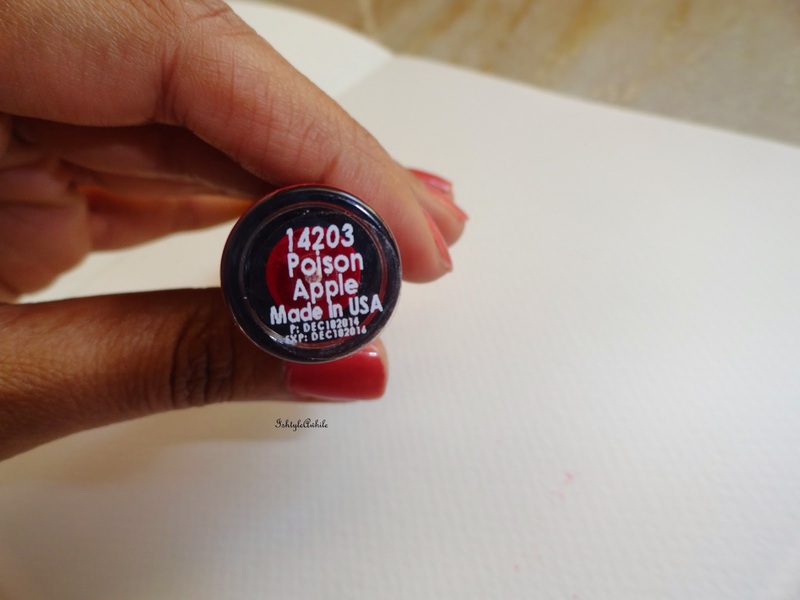 Well I haven't used those yet but I did use this and well the colour seems to suit the Pantone colour of the year- Marsala. I like the way it smelled, but nothing else really to say about this product. I got the full size product in the Fabbag and it costs 800INR. I am currently on a three month subscription, and with the last two months having been really good, I am considering whether to go in for another three months, or whether I should try some other subscription box. What do you guys think? Let me know in the comments section.